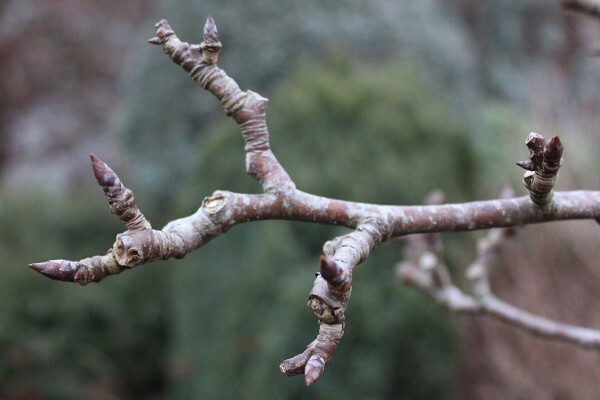 Winter apple tree – lots of buds already! 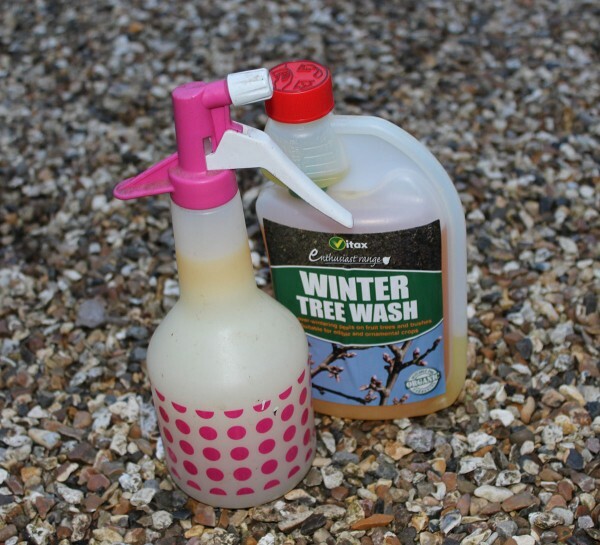 This week I implemented Step 1, a fruit tree wash designed to control overwintering pests, in particular the eggs, larvae and nymphs of aphid sap suckers (namely, greenfly, blackfly and whitefly). This used to be achieved with a winter tar oil wash, but these types of wash are no longer available in the UK because of the carcinogenic danger to amateur gardeners. Now, all available winter washes are based on either fish or plant oils, or both. Winter washes are best applied … in the winter! That is, in the dormant season, after leaf fall and before bud break in spring. So, I picked a dry calm day and applied the wash as directed, as a fine mist spray. I was careful to get the spray into any cracks in the bark and in the nooks between branches, as those are the places where any eggs will have been laid. As my apple and pear trees are only 3 years old, it didn’t take too long (a perfect ’15 minutes of green’ job), and the branches were soon dripping with liquid. One pear tree … sprayed. I also sprayed my ‘plum tree’, which to be honest is more of a stick in a pot at the moment – I bought it last year but it’s not thriving, so perhaps the wash will help. In theory, killing the pests or eggs should also help to reduce any fungal diseases, which attack fruit trees via the damage the pests inflict on the bark. 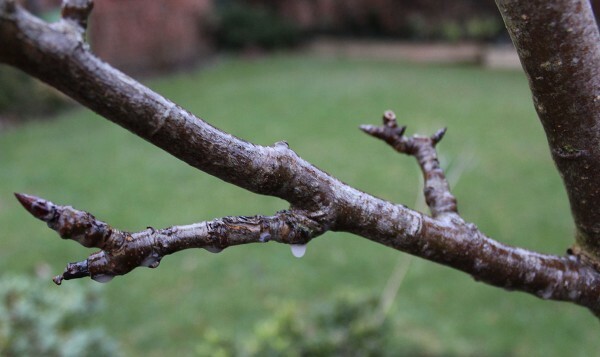 Winter washes are suitable for most fruit trees and bushes, including apple, pear, plum, cherry, gooseberry, blackberry, raspberry, blackcurrant and redcurrant, as well as vines under glass. I shall make sure I give my raspberry canes a squirt when I cut them down later this month.